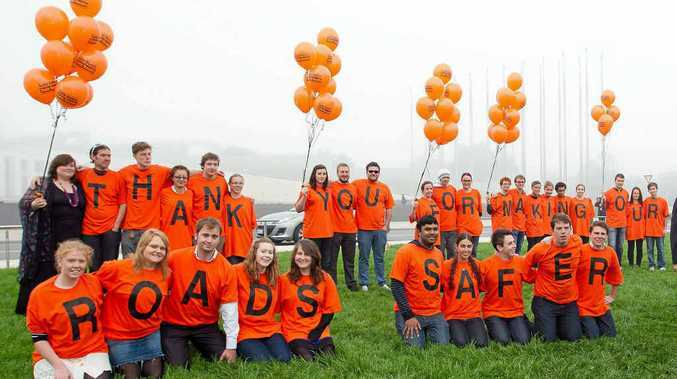 SAFETY FIRST: People show their support of Safe Rates after the Road Safety Remuneration Bill was passed through Parliament. This time they are focusing on major retailers. TWU assistant national secretary Michael Kaine said the third recently released survey was on the back of more general questions, but this time the TWU was interested in the retail sector. "There have been reports of pressures from retail supply chains," he told Big Rigs last week. Mr Kaine said there were stories of pressures from all areas, including subcontractors working for retail clients. "We decided to do a survey targeted at retail supply chains," he said. "It seems there's a hell of a lot of pressure. "The most prominent is Coles. We've had a number of pieces of discreet information coming forward ... I suspect we are just scratching the surface of the pressures. "If we get to the bottom, we can craft up a solution." He said that solution would be submitted to the Road Safety Remuneration Tribunal in the hope of a better outcome for drivers. Mr Kaine told Big Rigs the TWU's position was that truck drivers not filling out their log books, speeding or not taking rest breaks were all symptoms of not being paid for all the work they did. He said drivers needed to be paid for all the time they worked, while at the moment there was an abuse of incentive rates. "They actually have the effect of corrupting the rate on paper," he said. The changes the TWU want are structural that will change the economy of the industry. Mr Kaine said the TWU would put towards the tribunal that Coles needed to pay their fair share so people were paid legally and fairly for the work they did. The TWU encouraged as many truckies as possible to complete the Safe Rates Survey 2012. In a statement, the TWU said information gathered from the survey would present a clear picture of what the issues and pressures were for truckies. "It will also demonstrate rates of pay and conditions within the industry and how the economic power of major retail clients like Coles is affecting drivers throughout the country," Mr Kaine said. "This information will then be presented to the Road Safety Remuneration Tribunal to help inform its caseload over the coming weeks and months. "The more truckies who fill out the survey, the more powerful the results will be as a tool to use in support of cases before the tribunal. Each and every driver who takes the time to fill out this survey will personally be contributing to building a fairer, safer and more secure road transport industry." You can find the survey online at the TWU website.